not do, contact us to learn about LeafGuard and stop cleaning gutters forever! 2. Inspect your roof. The winter months can take a toll on your roof with the abundance of snow, ice, and other storms. Spring is a good time to do a routine check of your shingles and look for damaged, buckling shingles as well as any leaks or dark spots. 3. Plant trees. Strategically planting a tree or two in the spring can really pay off in the summer time when any shade is appreciated. A fast-growing deciduous tree, like a maple or oak tree, can provide copious amounts of shade for your home, as well as improve the look of your landscaping. living space, consider adding one. 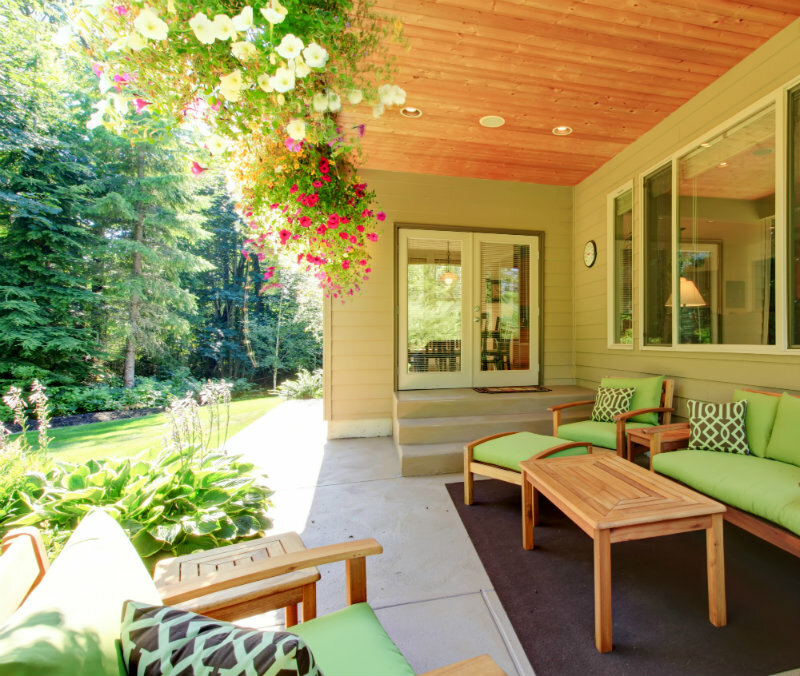 Outdoor living spaces are said to increase a home’s value by over 12%! Plus, you and your family can get a lot of enjoyment out of them now. replacement windows and doors are a energy efficient way to invest in your home and cut down on energy loss and spikes in your utility bill.